Comparable to adjusting your smart phone with apps according to your changing needs you can also adjust the functionality in a slum by adding functions with Floating City Apps. 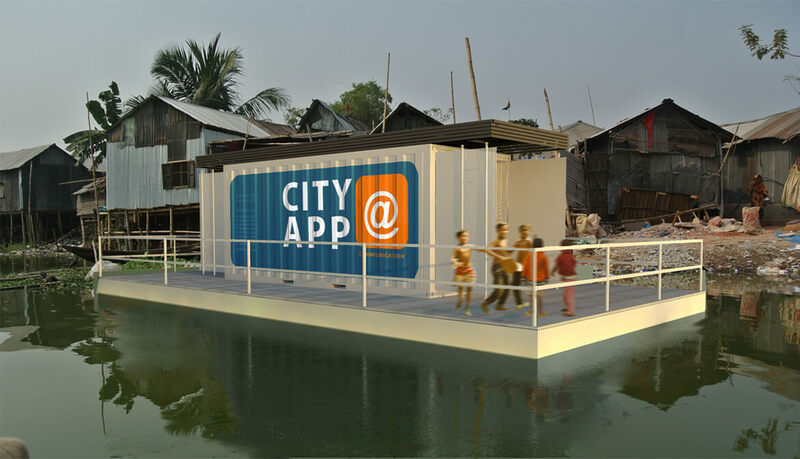 City Apps are floating developments based on a standard sea-freight container. 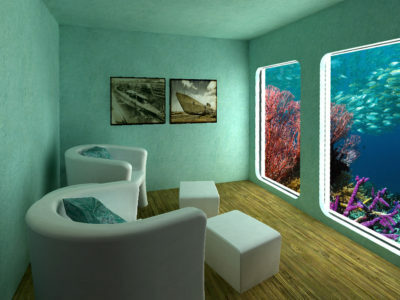 They can be added to slum using the space on water. Because of their flexibility and small size they are suitable for installing and upgrading sanitation, housing and communication. 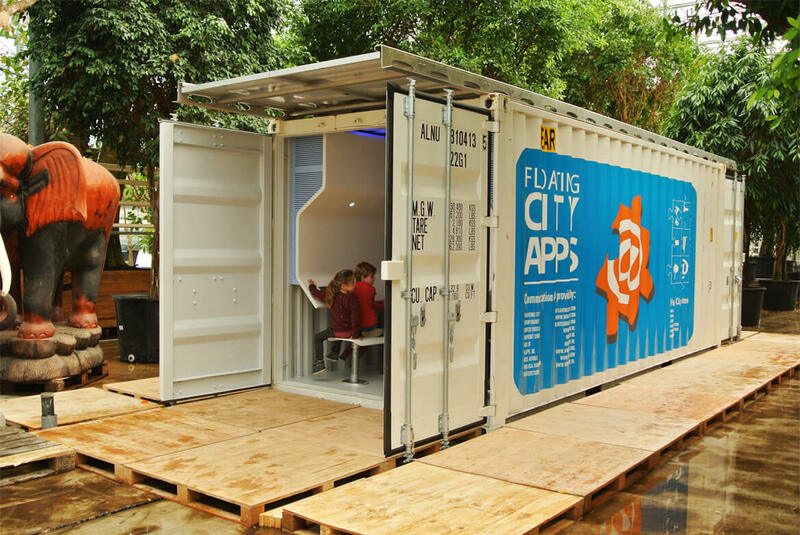 Floating City Apps have the ability to influence growth of new slums. This makes Floating City Apps a growth planning tool for municipalities. To succeed in our goal to upgrade wetslums a solid network of building support and trust is needed. We work with the proven effectiveness of the network of IHE UNESCO which has hydraulic engineers all over the world. These local advisors open the road to lasting partnerships with local NGO’s, Universities embassies and local politicians. First a slum is mapped and local problems are related to water potential in the slum. 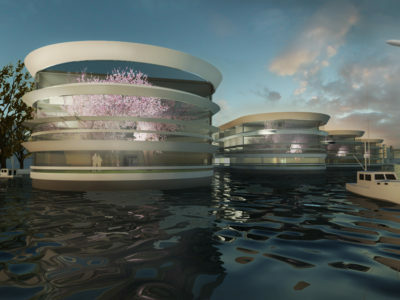 The Floating City App with the most impact or effect is selected. With the help of our network, licenses and local manager or entrepreneur is selected. 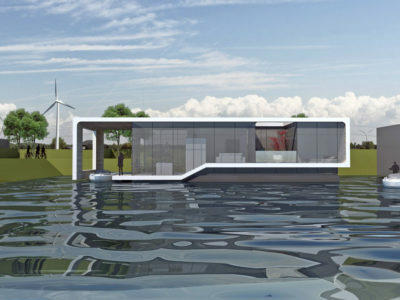 The Floating City App will be transported from The Netherlands to the slum. 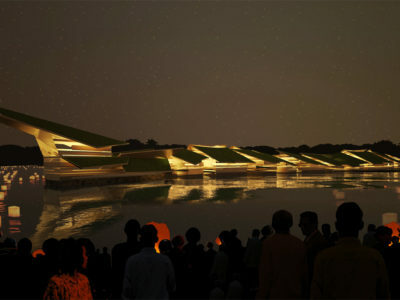 Locally the floating foundation will be built from collected used PET bottles supported by a steel frame. 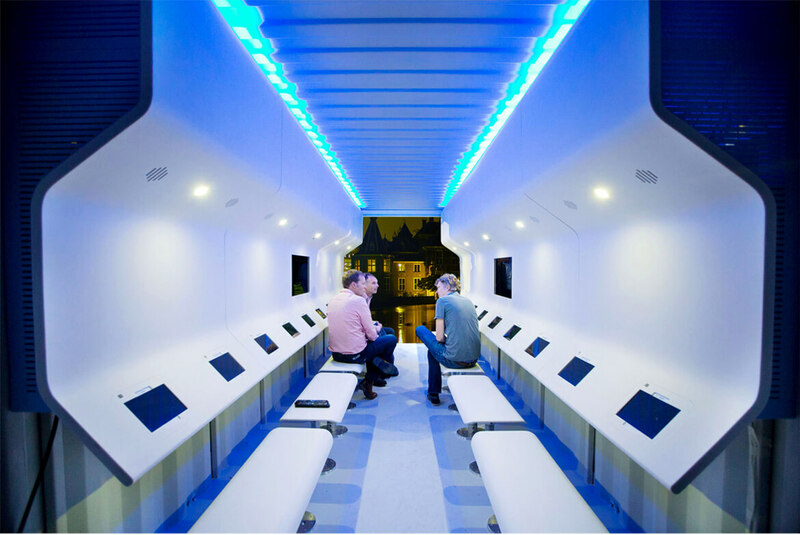 The City App is placed on the function a business model for payed use of the Floating City App is executed in order to get a ROI for the investors. In case of any change in situation the City App can be reused relocated or sent back to The Netherlands. It remain its value. 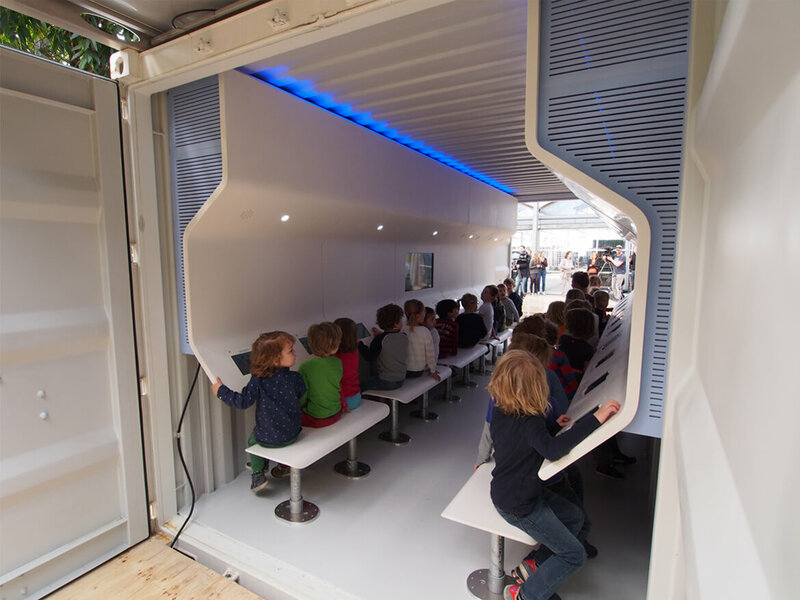 The Floating City Apps Foundation is established in 2013 by Koen Olthuis and Menno van der Marel and has the Dutch ANBI status for foundations. 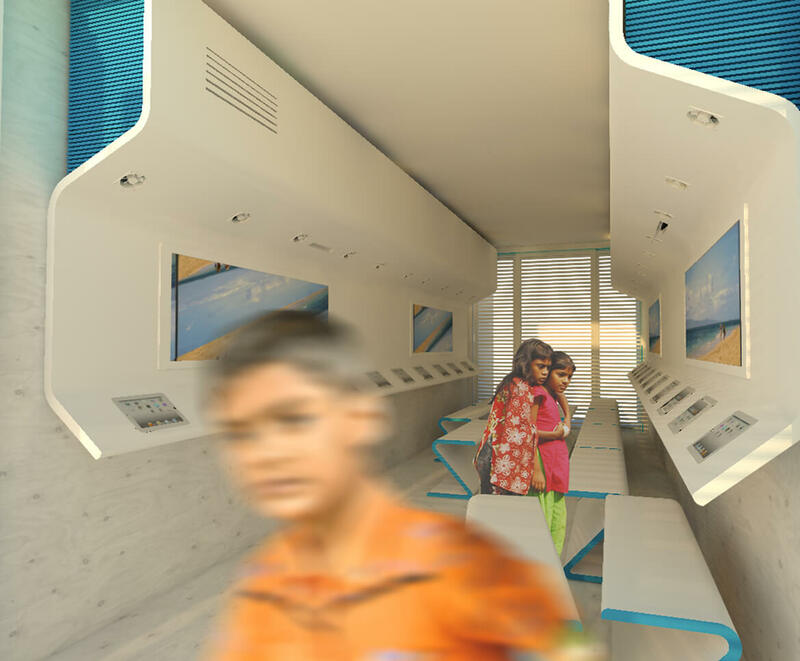 The Floating City Apps Foundation goal is to upgrade the living conditions on large scale of waterfront slums with small scale instant solutions. For more information about the ANBI status click on the hyperlink above.